Celeste Andreassi-Hutchens is a founding partner of WorkForce Solutions Group, LLP. One of her partnership responsibilities is oversight and assurance of our client relationships. She is charged with assuring the effective building, development and maintenance of strong client relationships, working to provide new solutions which create value to our clients and striving to deliver on-going excellent service based on their specific needs. 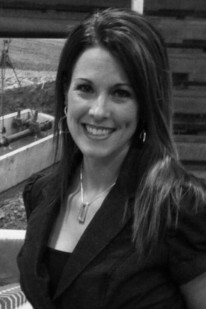 Celeste has worked exclusively in safety and human resources for the past 16 years. She began her career as the Safety and Health Manager for a heavy manufacturing facility. She was solely responsible for ensuring the facility maintained a safe and healthy work environment. Celeste accomplished these goals by implementing and training all managers and employees on safety policies and procedures she developed in order to ensure the employer maintained compliance with all local, state and federal rules and regulations, specifically the Occupational and Safety Health Act (OSHA). The procedures and training consisted of system safety analysis, recognition, evaluation and control of health hazards, ergonomics and industrial fire protection as well as all OSHA mandated policies and procedures, such as Lockout/Tagout. She developed accident investigation procedures, specific to the industry and led investigations for the employer when necessary. She is the Chair of the plant’s Safety Committee. Additionally, she maintained all employee and plant files in accordance with the standards set forth by OSHA. Within a year of starting the with the Company, she was asked to develop a Human Resources Department for this fast growing facility, she then became the Human Resource and Safety Manager at the division. In 2008, she was promoted to Corporate Human Resource Manager for all locations, managing approximately 300 employees. With her promotion, she maintained her charge for all aspects of health and safety with the additional responsibility for all labor and human resources aspects of the corporation. Her added responsibilities included; oversight of employee performance evaluation and review process, responsibility for all disciplinary/termination activities and maintain documentation accordingly, development, implementation and monitoring of all Human Resource policies (FMLA, Sexual Harassment, ADA, ADEA, Affirmative Action Plans, etc.) conducting all training, initiate and conduct interview/hiring process of all new full-time and temporary employees, maintenance of all safety files and records, oversee administration of workers’ compensation program, actively participate in all annual benefit renewals and selection processes (research current trends, compare plan selections to best fit company/employee’s needs), conduct all new employee orientations and training including all policies set forth in the company handbook, safety procedures and all mandatory paperwork as required by local, state and federal regulations. Under her direction, the employer has successfully remained a union free workplace. Celeste was subsequently appointed to the Board of Directors for the manufacturing plant for which she had oversight. Celeste has a Bachelor of Science in Safety Sciences from Indiana University of Pennsylvania, Indiana, PA. (The B.S. degree meets the Board of Certified Safety Professionals (BCSP) standards as a Qualified Academic Program (QAP). As a QAP, graduates of the B.S. degree are awarded a Graduate Safety Practitioner designation from the BCSP). IUP’s safety program is also ABET (Accreditation Board of Engineering and Technology) accredited. In addition, Celeste obtained a Master of Art in Industrial Labor Relations from Indiana University of Pennsylvania, Indiana, PA.